They say the child that plays outside is a healthier child. Exploring and having capabilities challenged outdoors helps children grow physically and emotionally. Boundary Fence and Supply Company wants to help with this! 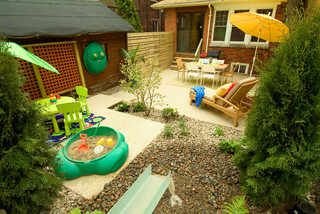 Let us help create an imaginative play area for your kids! With over 45 years of experience in the Denver area, our customers can depend on quality. We have set the standard in residential, commercial and industrial fencing. Our supplies can build whatever you dream! You don’t need a huge yard to create a unique playground for your kids. 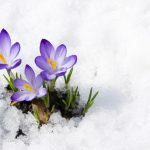 Just a little imagination can make wonders in your garden! Consider implementing one or two of these concepts in your yard with the help of Boundary Fence in Denver this summer. Anything with a challenge attracts kids. Particularly multi level climbing spaces are instantly magical. 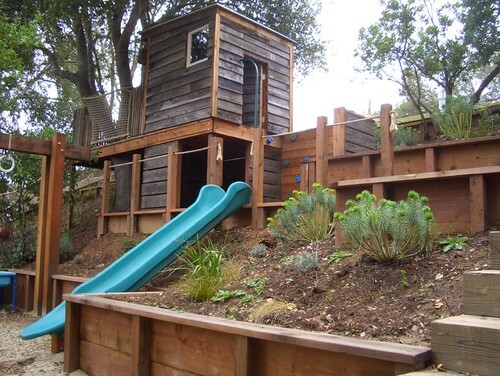 Build slides or other traditional means of play into your landscape or build on the soil to create hills and valleys in your yard. 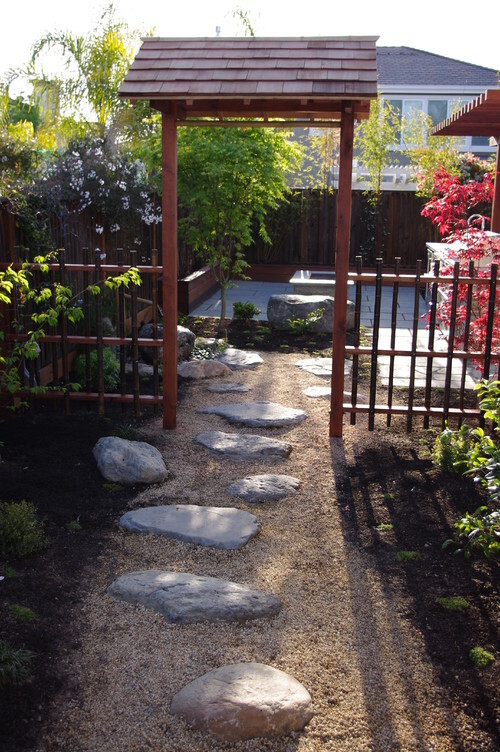 Make a path that leads to a specially enclosed garden just for your littles. Enclose a portion of your yard with a fence or railing where children can explore in their own space. Creating a fun pathway with multi-colored pavers or oddly shaped stones for kids to ho around on gives their playspace imaginative play. Use Your Fences for other purposes too! Make use of your vertical space in your yard by transforming portions of your fence into a chalkboard, or a climbing wall, or hanging buckets of toys from. This makes your play area less visually obtrusive while transforming a functional element into a creative useful element. You can always call Boundary Fence and Supply Co for free estimates, and our associates will work with you to fulfill all of your outdoor fencing needs. Our customers can count on the quality of supplies and business integrity. We set the standard in residential, commercial, and industrial fencing. We look forward to serving you and meeting all your fencing needs to create that imaginative space for your family! Call today!